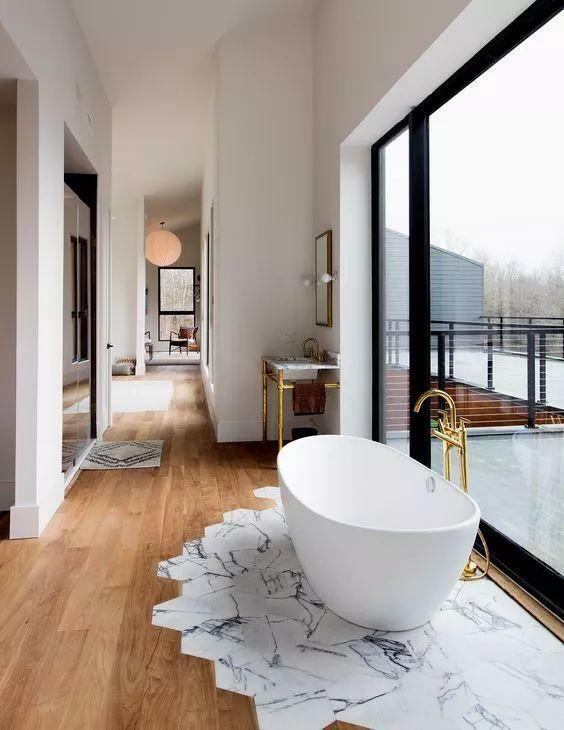 When designing a minimalist bath space, it takes skills to create a balance between what is not enough and what is way too much. It is also about harmonizing a space and creating a perfect balance of leaving certain spaces in a room void of furnishings and accessories. If you have a space large enough for the bathroom, then you can devise to use the bathtub. Even if you do not have any large space you can still seek a bathtub, but you have to design it intelligently to save space.